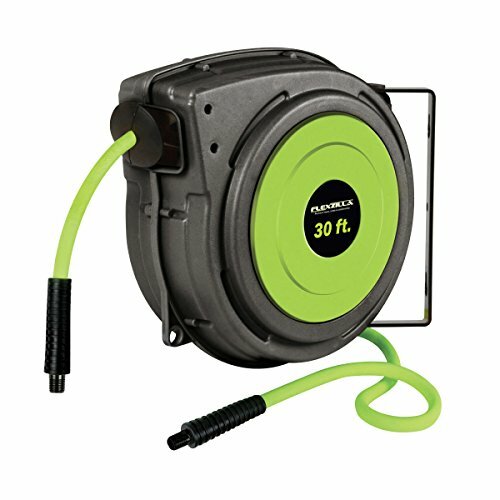 This retractable, enclosed hose reel is ideal for indoor shop and industrial applications. ZillaReel includes Legacy's exclusive Flexzilla Premium Hybrid Polymer hose and 3 ft. lead-in hose. Flexzilla is a revolutionary hose featuring a Premium Hybrid Polymer material that redefines flexibility. Flexzilla hose characteristics offer zero memory allowing it to lay-flat exactly where you drop it and won't work against you during operation or coiling after use. Flexzilla offers extreme all-weather flexibility, even in sub-zero conditions. If you have any questions about this product by Flexzilla, contact us by completing and submitting the form below. If you are looking for a specif part number, please include it with your message.